We will completely optimize the pages of your website. Our Cleveland SEO experts will ensure that your website is telling Google EXACTLY what it needs to know about your business. We take advantage of a variety of numerous and powerful web properties to make sure that your website earns a place of prominence in the internet universe. Our Cleveland SEO company will show Google that your website is being talked about, shared and used as a resource all across the web. These days it is vital that a business appear in the “Maps Pack” – the search results from Google Maps that appear at the top of the regular search results. Our Cleveland SEO Agency has achieved great results in getting our clients ranked in Maps for numerous keywords. Our Cleveland SEO agency provides SEO services to businesses anywhere and is not limited to Cleveland, Ohio. As a business owner, are you frustrated that potential customers are not finding you online? Do you wonder why people searching on Google for the exact services or products you offer are not finding your website? Cleveland SEO Consulting can help. We hear this all the time from business owners. What makes it even more frustrating is when your business provides a superior service and sells the highest quality products. You know that if people would just find your website online, and contact you, they would be very interested in what you have to offer. Search engine optimization is the process of making sure that Google understands exactly what your business is. It is about helping the search engines to understand why your website would be an excellent result someone making a search would want to see in the first results. 1 What exactly your business does. What service you provide. What product you offer. If someone is searching for a dentist they aren’t interested in seeing search results with plumbers. Google needs to have a multitude of signs and instructions so they can be sure that they are showing the right type of business to people making a search. 2 Where exactly your business is located. If someone in University Heights is searching for a local business, Google doesn’t want to show him a business in Columbus. Here again Google requires a lot of indications that you are really located where you are. 3 How superior your service or product is. If we don’t tell Google and prove to them that your business is deserving of a top position in the SERPS (search engine result pages) they simply won’t know. Why Can’t Google Just Figure It Out? Why Do I Need SEO? The answer is that at the end of the day Google is really just a computer program using complex algorithms to determine what people want to see when they make a Google search. Computer algorithms don’t know how great your product is and how wonderful your customer service is. The truth is, Google doesn’t even necessarily know exactly what your website looks like. A fact not widely known is that Google can’t really see the images on your website. You can have the most beautiful picture on the homepage of your site. 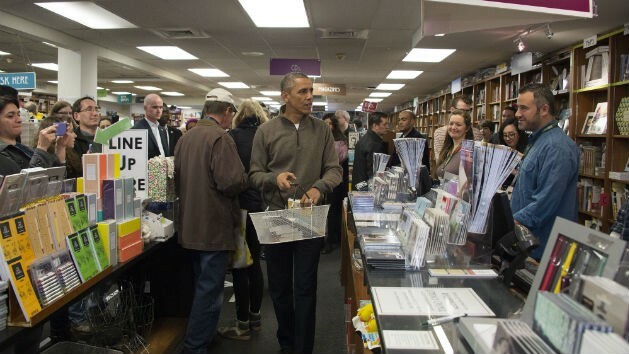 It can be a picture of the President of The United States going into your store to buy something. Google won’t understand. Search engines read words, text, letters and sentences. They don’t know what the image signifies. Not only that, but even if you have a picture with words in it Google will not know what those words say! They won’t have a clue. This is just an example to bring home the point that search engines cannot, on their own, fully grasp what your website is about. That is where search engine optimization, or SEO, comes into play. Our Cleveland SEO specialists ensure that your website clearly tells Google what it is about. We are leaders in Cleveland SEO. Let’s get started. Our Cleveland SEO company counts some of the largest companies among our clients. We have taken huge corporations who weren’t ranking anywhere and achieved for them numerous page one rankings for the top industry keywords. We also service smaller to midsize businesses as well who have seen a great increase in business as a result of our SEO services. The Cleveland Museum of Natural History is located at 1 Wade Oval Dr, Cleveland, OH 44106. Here I will mention some great things to see and do at the Cleveland Museum of Natural History. One great section is the Perkins Wildlife Center. The Perkins Wildlife Center is a place of refuge for Cleveland Ohio animals. You will see bobcats, foxes and coyotes all running around and going through high tunnels. The animals take turns walking through the suspended trails for exercise. There are tunnels for kids as well where they can get exercise. In Perkins you get to explore various Cleveland Ohio habitats such as swamps, forests and wetlands. You can see bald eagles and peregrine falcons. An amazing thing you can see underwater is the river otter habitat. There are also enlightening educational enrichment programs that teach you about Cleveland Ohio’s ecosystems. The astronomy section of the Cleveland Museum of Natural History is terrific. The Shafran planetarium is considered by some to be the best in Northeast Ohio, although in the past some have found it disappointing. Its 4K projectors basically take you on a tour of outer space! You can see the majestic star constellations. It takes you through the rings of Saturn. You can even see the surface of the moon or Mars. Its digital atlas has millions and millions of stars programmed into it. On Wednesday evenings, from September through May, you can visit the fascinating Mueller Observatory and stargaze through the Warner and Swasey telescope which was originally donated to the Case Western Reserve University. And make sure to check out the Apollo 12 moon-rock in the Wade Gallery. It’s incredible, you can literally be just a few inches away from an actual piece of the moon. For kids, the Smead Discovery Center is a great space of hands-on exhibits. Visitors of all ages can spend a lot of time there. First From the Cleveland Museum of Natural History, at 1 Wade Oval Dr, Cleveland, OH 44106, you continue to East Blvd. You do that by heading north toward Wade Oval Drive, turning left onto Wade Oval Drive, and then making a right turn at the 1st cross street onto East Blvd. Make a slight right to stay on East Blvd. Next you need to take Cedar Rd to Washington Blvd in University Heights. To do this you turn right onto Euclid Ave, turn left onto Stearns Rd, and use the left 2 lanes to turn left onto Carnegie Ave. Carnegie Ave turns slightly right and becomes Cedar Ave. Continue onto Cedar Glen Parkway and turn right onto Cedar Rd. Next you follow Washington Blvd and Silsby Rd to Baintree Rd. You do so by turning right onto Washington Blvd and making a slight left to stay on Washington Blvd. Then you turn left onto Silsby Rd and then turn left onto Baintree Rd. The destination, Cleveland SEO Consulting, will be on the right, at 4358 Baintree Rd, University Heights, OH 44118. This map from Google can help you visualize the directions.